WWE Backlash 2017: The 13th Backlash held on May 21, 2017. The live streaming of Backlash, result, how to watch online have been updated. It took place at the Allstate Arena in the Chicago suburb of Rosemont, Illinois. 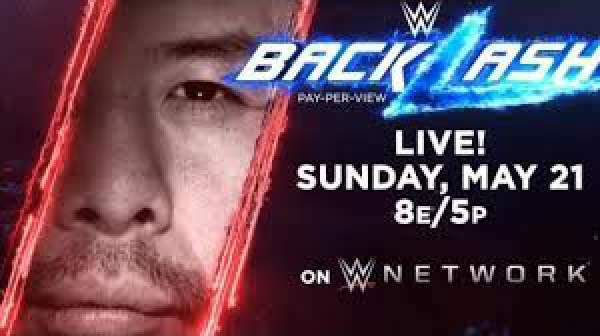 The upcoming professional wrestling pay-per-view (PPV) event and WWE Network event, produced by WWE for the SmackDown brand, be the second WWE Backlash to be held at the Allstate Arena, after Backlash 2001. Also, it will be the first PPV hosted by the blue brand after Wrestlemania. As it is most of the times, no live streaming will be available for the Indian audience. So you will have to have a membership of the WWE Network to watch it live, online. The event will be aired live on the site tomorrow morning (Monday, 22nd May) 5.30 AM IST onwards. And if talking about TV, the first broadcast of Backlash 2017 will come on the Ten 1 and Ten HD Network, tomorrow evening (Monday, 22nd May) at 6 PM. Also, there will be the repeat telecast of the same on Wednesday, the 24th at 9 PM and next Sunday, the 28th at 2 PM on the same Network. Here we have come up with the full list of the WWE Backlash 2017 matches to be held and Backlash predictions from our very own panel of experts. Check: Billboard Music Awards 2017 Live Stream. The debutante Dillinger has got the immense potential to make his debut a rememberable by getting English under himself. Result Dillinger wins via pinfall. The complete result of Backlash 2017 will be updated right after the match. So, stay with us. The event is one of the most talked about in the whole upcoming list as the rivalry of Sami and Corbin has been garnering a lot of attention of the fans recently. Our experts have given the decision in the favor of the former wrestler. Result: Zayn wins via pinfall. This match was the last one to be added to the list and organizers would surely not regret the decision as it really have got that essence with names like Harper and Rowan being involved. The recently in form Erick Rowan is supposed to make the bout his own if our panel is to be believed. Result: Harper wins via pinfall. This multiplayer bout will also garner a lot of fan following with mostly Jimmy and Jey Usos predicted to defend the title for another year. Result: The Usos win via pinfall. Check: Billboard Music Awards 2017 Winners. The experts have given the unanimous to make the fans of Kevin Owens really happy this year. But the match is surely not to be missed with both the players fighting hard for the title. Result: Owens wins via count-out. This one is gonna be a show worth spending your pennies for. If our experts have their say, they strongly feel that moves of the Flair – Lynch – Naomi trio will leave the Welcoming committee’s fans really disappointed by the end of it. Result: The Welcoming Committee wins via pinfall. The main roster match is surely the most awaited this season. And why wouldn’t it be? After all, Nakamura and Ziggler would be giving in their best to get the title under their waist. It seems that Shinsuke Nakamura will surely make it to the top this time. Result: Nakamura wins via pinfall. And this is the match which will garner record-breaking TRPs in the homeland with Jinder Mahal fighting it against Randy Orton. Even though we all root for the desi boy to take away the title, our experts feel otherwise. Result: Mahal wins via pinfall. Stay tuned to TheReporterTimes for latest WWE news and other sports updates around the world.